Yossi Milo Gallery is pleased to present Objects, an exhibition of toned gelatin silver prints by Chema Madoz. The show will be on view in the Second Floor Gallery from Friday, March 7 until Saturday April 19, with a reception for the artist on Friday, March 7, from 6:00-8:30 p.m. In Objects, Chema Madoz presents a body of work from the past decade in which he confronts objects in different ways: juxtaposing unaltered objects; manipulating objects; and inventing and constructing objects in his studio. Using these methods, and without using digital manipulation, Chema Madoz creates a body of visual images that invite the viewer to rethink the commonplace. Under the first method, Mr. Madoz juxtaposes unaltered objects. For example in Untitled 1992 (pencils on shelf), Mr. Madoz allows the shadows of two pencils to form a transparent drawing triangle, provoking a reexamination of both the function and the nature of the object. In the second manner of approach, Mr. Madoz addresses the object by manipulation rather than juxtaposition. For example, in Untitled 1997 (sandals with grass), we see a pair of grassy sandals, for summertime wear. Under the third approach, Mr. Madoz photographs objects and stage settings that he has constructed. 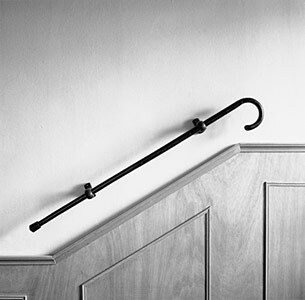 In Untitled 1996 (cane on stairwell), a cane has replaced the handrail next to a stairwell. The cane becomes immobile; its normal function is altered by making it stationary. The usefulness of the object has not been altered; only in this new context do we see the shift in its function. Also in Untitled 2001 (flowers/butterflies), Mr. Madoz has created his own still life, but the flowers, upon closer inspection, are revealed to be butterflies. Chema Madoz's work has been exhibited and published extensively. His work is included in many public collections, including the Museum of Fine Arts, Houston; Museo Nacional Centro de Arte Reina Sofia, Madrid; Museo Marugame, Hirai, Japan; and Centro Galego de Arte Contemporanea, Santiago de Compostela. Born in 1958, Chema Madoz lives and works in Madrid.